One incident will remain indelible in my mind; it serves here as a public confession of one of my childhood mischievous antics. 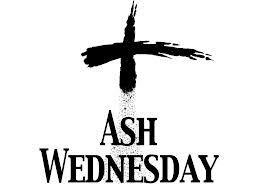 On one Ash Wednesday many years ago, when I was still in primary school, my mother in her piety instructed that I go for evening mass so that I could receive the imposition of the ash on my forehead since I was unable to go for the morning mass on account of our primary school schedule. This instruction was not palatable for me as I was to be involved in a crucial junior soccer team match that evening; in fact same time with the evening mass. I thought about the dilemma and suddenly hatched a plan. I went for the junior soccer team match (instead of the mass) and afterwards I went to one spot where some people sell roasted fish and sourced for ash to impose on my forehead in case my mum should doubt if I attended the evening mass. There I saw black charcoal and immediately took one, soaking it a bit in water I signed a big cross on my forehead and headed home. Sighting my mum I walked boldly towards her with my head raised. She asked me if I went for the evening mass and I said yes and pointed at my forehead. She looked closely and saw charcoal on my foreheads and pulled my ear hard asking me to tell her exactly where I went. I was thinking about a defense when one of my friends rushed to our house calling me to come out and collect my wrist band that I left behind at the soccer field when I was rushing to get ash (though I ended up with charcoal). The rest next thing that happened to me after my friend’s visit can only be left to imagination. Today is the first day of Lent. The Ash Wednesday starts a period of forty days (excluding Sunday) resonating with the forty days our Lord Jesus Christ undertook a desert prayer/fast retreat programme as we can see in Matt. 4:1ff and Luke 4:1ff. It will be pertinent for us to understand what we are undertaking very well so that the ash we receive on our foreheads will match with our inner selves. Ash as a tangible material is the end product we receive after subjecting any material to intense burning by fire. This immediately suggests to us that however great a material is, no matter how beautiful and precious it may be, under intense burning by fire everything is reduced to ash, even human beings. Ash thus reminds us of our nothingness! During the imposition of ash on our foreheads one of the forms used is: “Remember dust thou art and to dust thou shall return” (Gen.3:19). This realization is expected to prod us to attend to the second form used which say: “Repent and believe the Gospel”. In the prophecy of Jeremiah we read: “O daughter of my people, gird on sackcloth, roll in ashes.” (Jer.6:26). In the book of Daniel (9:3) we read: “I turned to the Lord God, pleading in earnest prayer with fasting sackcloth and ashes”. When the King of Nineveh heard the oracle of Jonah he covered himself with sackcloth and sat on ashes. (Jonah 3:6). Job decried: “Therefore I abhor myself, and repent in dust and ashes”. (Job 42:6). Mordecai reacted against the decree against the people of Israel by king Ahasuerus by tearing his clothes, putting on sackcloth and sitting on ashes. (Esther 4:1). The Lenten period generally calls for repentance. During this time we are invited to do a turnaround in our lives. We are invited to make deep and active introspection and come out with renewed lives. The first reading from the prophet Joel (2:12-18) issues a convocation of the people inviting them for a radical change of heart and attitude in order to receive God’s blessings. The responsorial psalm begs God to have mercy on us on account of our sins. In the 2nd reading (1 Cor.5:20-6:2) St. Paul calls for our reconciliation with God as we have been ushered into a favourable time of salvation. 1. Almsgiving: This is a very important Christian virtue that connects us directly with God. When we give alms we represent and resemble God because it is in the character of God to give. Life is a typical example of God’s almsgiving to humanity. Whatever we have had been given to us by God and we in turn are expected to becomes alms that give to others. Jesus Christ gave us a direct command to this effect when he said: “Give and there shall be gifts for you a full measure pressed down shaken together, running over will be poured into your lap” (Luke 6:38). Our Lord also identified almsgiving as one of the preconditions for entrance into the kingdom of God (Matt. 25: 35-40). The salutary power of almsgiving was also established by St. Peter when he said that charity covers a multitude of sins (1 Peter 4:8-9). It is indeed disheartening that our world is divided into two unequal parts: the world of the lavish rich and that of the abject poor. Everyday millions of people go to bed hungry while some other are throwing food away in the trash. This is the time we are expected to extend our alms to give to those who are in need and gain blessings for ourselves. Our old wears and discarded items can renew someone’s life some place. 2. Prayer: Prayer is our communication gateway to God. Prayer is so important in our lives that when we stop praying we start perishing. Prayer presents us to God and God is consequently made present to us. Jesus Christ our redeemer did not only pray (Mk 1:35-36; Luke 6:12-13; John 17:1-26), he taught how to pray (Luke 11:1-4) and even fervently (Luke 18:1ff). It is regrettable in our day and age that most people find prayer burdensome. We often have time for almost everything except prayer. 3. Fasting / Abstinence: This Lenten practice is often misunderstood and ill-applied. Fasting and Abstinence have active connections. It is however recommended that we order them well so that we don’t relapse into mere devotionalism. It is pertinent to establish that food is not the only thing we can fast from. This period is auspicious enough for us to eschew our known bad habits and deny ourselves of those things we derive a lot of pleasure from and which are destructive of our spiritual and moral growth. Most people are anticipating the Lenten period as it would avail them the chance to stay away from food and therefore get perfect physical shape while being inattentive to perfect spiritual shape. If outside the Lenten period I can comfortably go deep into the day without food without worries, how can fasting from food be of great benefit to me as a Lenten observance? It will be more appropriate for us to fast and abstain from sin than to pay attention to fasting from food when our hearts are connected with sin. As we file out to receive the ash let be conscious of the fact that the ash we receive will not avail us anything if there is no substantial inner transformation. The ash is not some automatic sin washing detergent. It is basically an outward sign of the inner conviction of our sinfulness and our readiness to turn out better persons. Let us not be too conscious of the imposition of the ash as many people will be struggling and rushing after the ash, forgetting the needed transformation that should define our lives henceforth. May God’s grace give us the consistency and resolve we need to pass through this Lenten period and come out better Christians who will rise with Christ with renewed and regenerated hearts. Have a wonderful Lenten period! ← OUR SINFUL PAST VS OUR SAINTLY FUTURE: HOMILY FOR THE 5TH SUNDAY IN ORDINARY TIME OF THE YEAR (C). Rev. Fr. Boniface Nkem Anusiem PhD. Great are your homilies Rev. Fr. Bonnie. I often run up to your word press for insights. Your word reaches even to those who have no internet through me. God bless you and the work you are doing.